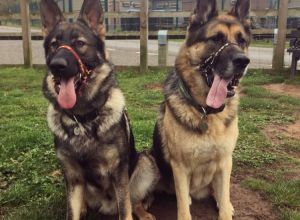 Bruce and Jax | German Shepherd in Ferryhill. German Shepherds, 9 and 1. Both like to run, balls and other dogs but can be vocal on a lead!